Clarins Fragrance Group, parent company of the Mugler and Azzaro fragrance brands, has committed to an unprecedented Made in France programme that aims to produce perfume alcohol in a way that meets increasingly stringent environmental and social requirements. The forwardlooking programme, which is co-funded by Clarins Fragrance Group, aims to improve the company’s sourcing procedures by giving new emphasis to biodiversity in agricultural practices. Located on the Remicourt farm at Amifontaine near Reims in France, the programme is based on a simple principle: creating a balanced ecosystem for the optimal ecological production of sugar beets that will later be used to create perfume alcohol. 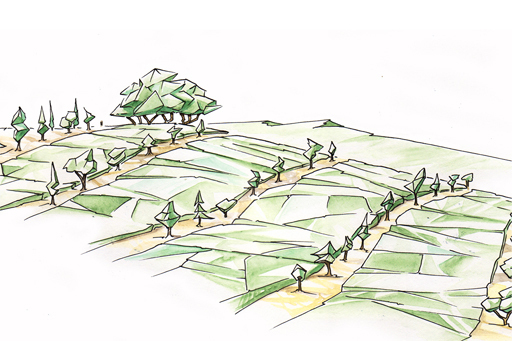 Nearly 2,200 trees of various local varieties have been planted on the site. The many resulting biodiversity benefits will have clear short- and longterm advantages, such as allowing a longer flowering period that provides resources for bees, adding natural organic material to fertilise the soil and creating habitats for local animals. Other initiatives are also planned for the programme, such as the installation of fifty perches for birds of prey that will contribute to the natural regulation of the number of rodents in the plot.